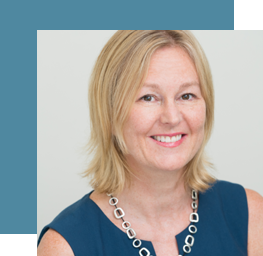 Dr Rhonda Farrell is a certified gynaecological oncologist, advanced laparoscopic pelvic surgeon, and colposcopist. Dr Farrell has a high level of expertise in the assessment and management of all gynaecological conditions, including gynaecological pre-cancers and cancers. She performs minimally invasive (laparoscopic) surgery for benign gynaecological conditions (eg: endometriosis, ovarian masses), hysteroscopy, colposcopy for management of abnormal cervical screening tests and preinvasive disease, and gynaecological cancer surgery. Above all, Rhonda believes in a woman’s personal choice for her own medical care. Rhonda provides evidence-based treatment options where possible, and supports her patients through their journey from diagnosis, surgery, to after-surgery treatment and follow-up. She is a strong advocate for the patient-focused multidisciplinary model of care. Reflecting this ethos, Rhonda works closely with the primary care physician (GP) and with allied health colleagues including psychologists, specialist nurses, and physiotherapists. Rhonda completed her first degree in Physiotherapy where she graduated with first class honours in 1986. She then completed her Medical degree (MBBS) from the University of Sydney in 1995 with first class honours and first place in Pathology and Surgery. After obtaining her fellowship from the Royal Australian and New Zealand College of Obstetricians and Gynaecologists (RANZCOG), being awarded the medal for first in the fellowship examination, she completed a further four years of subspecialty training in Gynaecological Oncology and became a Certified Gynaecologic Oncologist (CGO- gynecological cancer surgeon) in 2007. Her CGO fellowship training was undertaken at the Royal Hospital for Women in Randwick, Westmead Hospital in Sydney, and King Edward Memorial Hospital in Perth. Rhonda completed a Masters of Surgery in Surgical Oncology (Sydney University) in 2014. She is currently completing a PhD on the role of peritonectomy surgery and heated intraperitoneal chemotherapy for ovarian cancer (UNSW). In 2017 Rhonda worked for a year in the Peritonectomy Unit at St George Hospital under the tutelage of Professor David Morris learning radical abdominal surgery and HIPEC (heated intraperitoneal chemotherapy) for peritoneal malignancies. She continues her association with this unit. Rhonda has continued an active role in teaching and mentoring trainees in gynaecological cancer surgery. She has contributed greatly to the National training programme of gynaecological oncologists as the chairperson of the gynaecological oncology committee of the Royal Australian College of Obstetricians and Gynaecologists. She is currently a conjoint lecturer at UNSW and mentors research students. Reflecting her interest in improving outcomes for her patients with cancer, Rhonda is an active member of many cancer committees including Cancer Australia, NSW Cancer Institute, The Translational Cancer Research Network, and ANZGOG (Australian New Zealand Gynaecological Oncology Group). She is currently the lead for a number of research projects in the area of gynaecological cancer. She is excited to be involved in exploring innovative treatment strategies that combine latest medical research with the best of clinical care. As of January 2019, Rhonda has been appointed as Deputy Director of Gynaecological Oncology Services at Chris O’Brien Lifehouse, Camperdown. Dr Farrell will be seeing both public and private patients with gynaecological cancer at this centre. Rhonda will also be working at the Royal Prince Alfred Hospital peritonectomy and HIPEC unit for specialised treatment of women with ovarian cancer. Rhonda was appointed as an Associate Professor and Deputy Director of Gynaecological Oncology Services at Chris O’Brien Lifehouse in January 2019. The current and future role of peritonectomy and heated intraperitoneal chemotherapy (HIPEC) for epithelial ovarian cancer in Australia and New Zealand. Thesis: Lymphadenectomy in Early Stage High-Risk Endometrial Cancer: Clinical Characteristics and Outcomes in an Australian Cohort. Awards: Keith Free Prize for best oral presentation ASGO, 2006. Keith Free Prize for best oral presentation ASGO 2004. Brown Craig Travel Scholarship 2008.